For the first time in it’s history, the Crucible Theatre in Sheffield will see an amateur snooker player take his place in World Snooker Championship’s last 32. James Cahill will face Michael Judge for the honour of being that player. 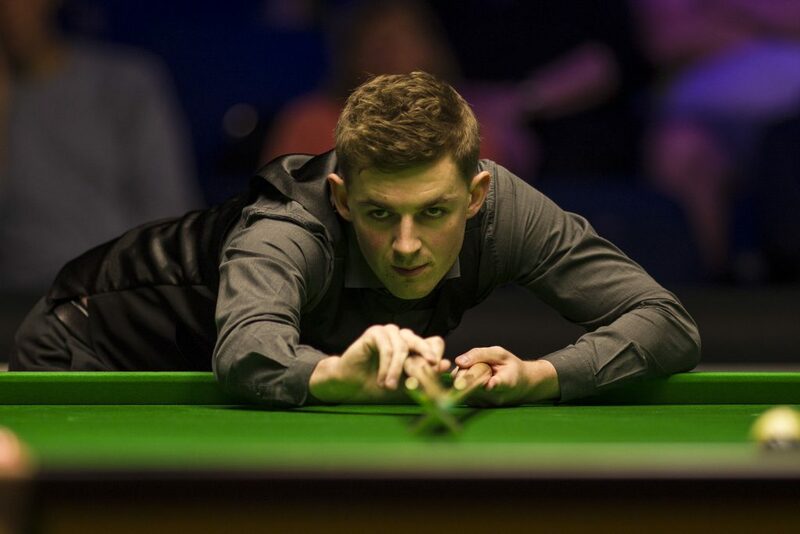 Cahill, 23, has also secured a return to the main tour via the “one year list” and will not now have to have the thought of Q School looming over him. It was, of course, his performance at last year’s Q School that earned him his place in the World Championship Qualifiers as a top-up. 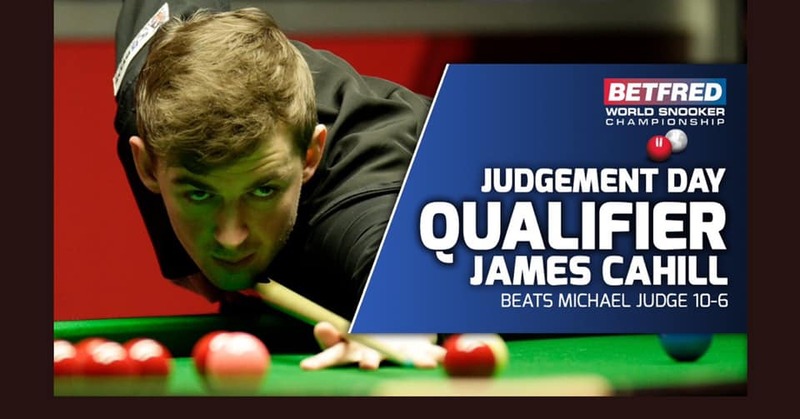 Another fantastic win by James Cahill today to seal his return to the main tour via the one-year list, with the likes of Greene and Dale losing around him. Dale's loss keeps Mike Dunn inside of the top 64 with it now taking a deep run from someone behind to catch him. Judge, who was also a Q School top-up, only got the call at the last minute after Zhang Jiankang had to withdraw. 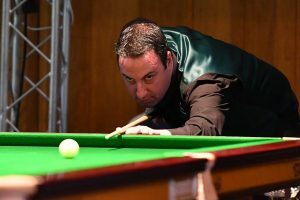 The Dubliner, who is also the reigning Irish National Champion, has been to the Crucible before and reached the last 16 in 2001. The “Clash of the Amateurs” will be the highlight of Judgement Day! The first session of the match will be on Tuesday at 11am. The second session at the same time on Wednesday – Judgement Day.